I guess many of us started the year with a diet wish, some say that usually comes out three months before the summer. Like many, I need to lose some weight and add exercise to deal with blood pressure issues, and so I find myself having to think twice about how much and what I am eating. But I just had a moment of clarity the other day when I realized that this process of leaving out had a parallel process of welcoming in new things, new foods, new experiences that in some cases are proving to be great! It’s the blackberries by the pound I didn’t know I loved so much, the many ways to cook spinach that I hadn’t tried, the many tasty roots out there instead of potatoes. I started the year with a diet of Facebook, I’ve kept it on one single desktop location to reduce consumption. I am still doing some of its byproducts, like Instagram which I convince myself is fine because it’s all about imagery. I am also on LinkedIn because somehow it feels you can’t have a career or meet like minded professionals without being on it. First couple of days without Facebook I felt the withdrawal, but now Screen Time tells I’m doing good, and I get to spend more time on Instagram and LinkedIn, not sure that was the intent. I also started a diet of radio, I have to be in my car everyday an average of 1,5h to travel to/from work, and apart from the occasional playlist I tend to listen to the radio, relying heavily on public radio. But I have been getting tired of the endless exploration of certain topics and the trickle-down news that makes you tired and many times just plain bored. So, I decided to welcome podcasts into my life, selected a few, defined one per week with a certain level of diversity, and became hooked on the longer future thinking interviews from Azeem Azhar, the fantastic hidden stories of 99% Invisible, the crazy logic of the folks at Freakonomics. I was thinking today of what would a diet of Design look like. I am fully addicted to design, the thinking and the doing, from how to create better conditions for certain types of exploration, to having the right resources to get that challenging job done or focusing on that little detail of a product that I am not so sure has been tested enough. I’m one of those that is comfortable 10,000 feet above the ground but loves diving down to the micro level and discuss with designers details that inspire and move people. And I see, touch, do design, read design, listen and discuss design, I dream design and wake up in the middle of the night because of it. Because of that, I am getting sick to the stomach with all the design thinking rhetoric, nauseous from those that don’t walk the talk on Design investment, bloated from so many proof points on the value of Design going on deaf ears. So, I wonder, would a diet of Design allow me to be happier, bring new things into my life that I would ultimately learn to love, subjects I haven’t explored, places I haven’t been, experiences I haven’t engaged in. Something as simple as a subset of time for meditation, or a new magazine subscription on bees, or a MeetUp on scuba diving. 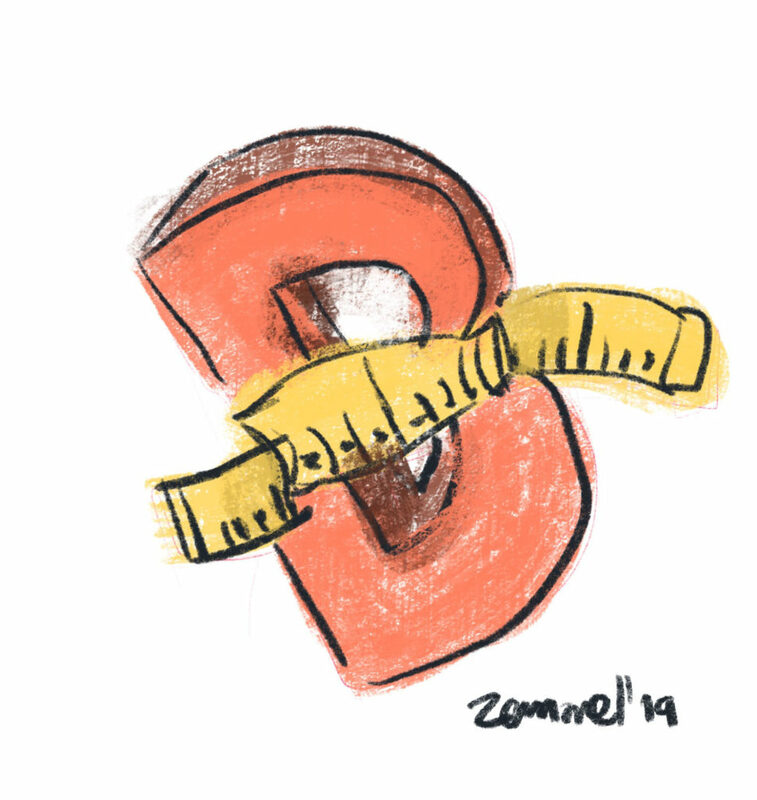 Like with many other diets, it’s not only what you leave out, but what you welcome into your life, so I wonder if I am not being strict enough… If you are reading this and you are as addicted to Design as I am, what would your diet of Design consist of?